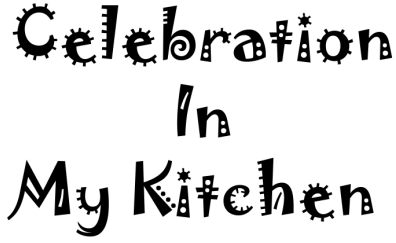 This recipe is inspired by my late mother. With firm ripe tomatoes from the market, she would stuff them with mince and pressure cook. They were cooked to perfection without being mushy, moist and juicy. As a child, the mince filling is what I enjoyed the most. 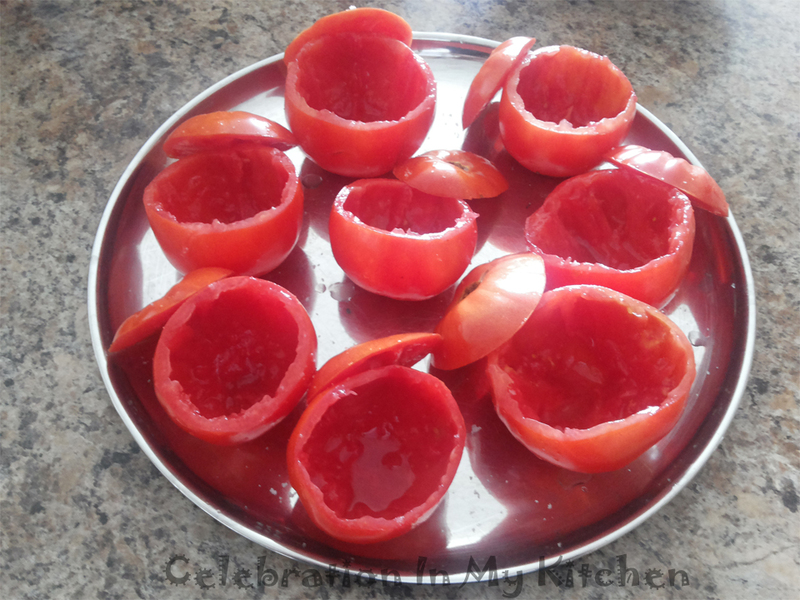 I often wondered how my mother was brave enough to pressure cook the stuffed tomatoes. She was brilliant with amazing cooking skills and perfect timing. With my husband harvesting bountiful tomatoes every day from our garden, I decided to stuff some. 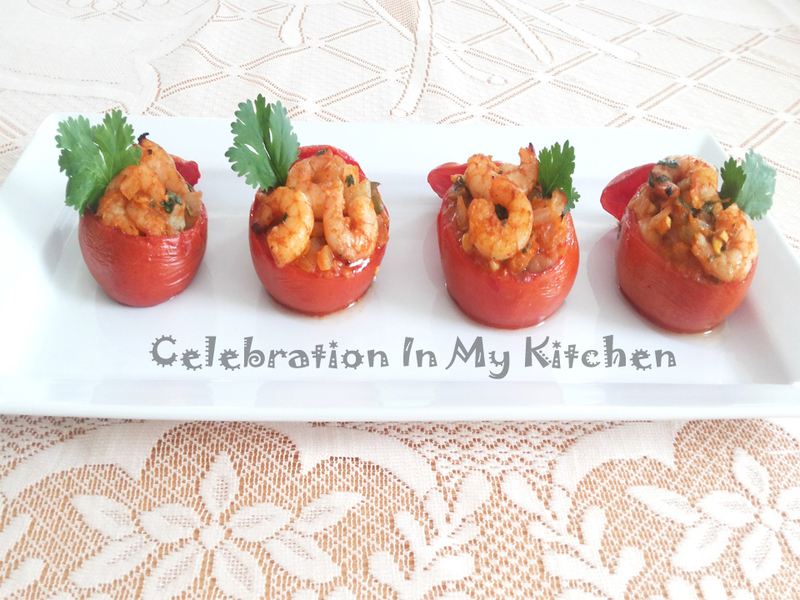 Like my mother, I mostly fill them with mince but today, decided on spicy shrimps. 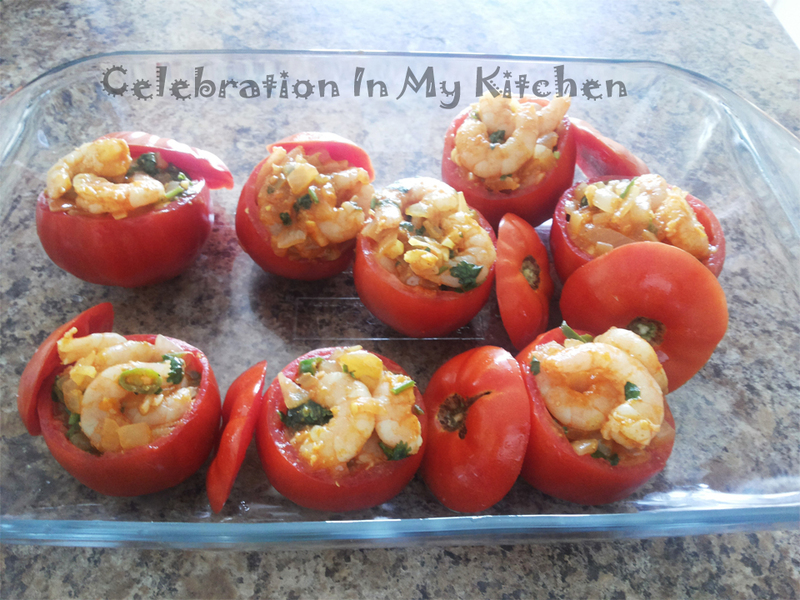 The stuffed tomatoes are baked till they are cooked through. With the spicy filling and sweetness from the baked tomatoes complementing one another, these stuffed tomatoes are truly enjoyable. Tomatoes are a great source of vitamins, nutrients and antioxidants. They are good for your hair and skin. Prevents cancer, improves vision, boost immunity, maintains blood sugar levels and are heart healthy. Did you know that tomato is a fruit and not a vegetable? Wash and cut off the tops of each tomato. With a spoon, scoop the pulp out into a bowl. Puree the pulp and keep aside. Sprinkle salt on the tomatoes and drizzle them with olive oil (picture below). Season shrimps with salt and keep aside. On medium flame, heat a skillet, add oil, onion, garlic and green chillies. When onion is soft, add spice powders, fry for few seconds. Add the tomato puree and cook till most of the moisture has evaporated. Stir in the shrimps and cook till they are partially cooked. Season, add lemon juice, remove from heat and garnish with coriander leaves. Let the filling come to room temperature. 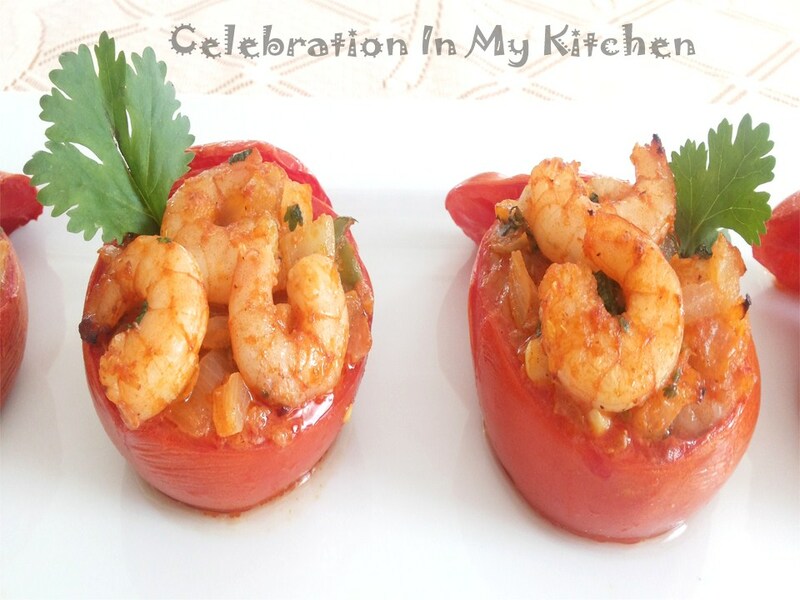 Preheat oven to 400 F or 200 C.
Stuff each tomato with the shrimp filling. Place tomatoes in a baking dish (picture below). Bake for 5 minutes and then cover loosely with aluminum foil to prevent the top shrimps from burning. Continue baking till tomatoes are cooked through, around 15 minutes in total. Use a spatula to transfer tomatoes into a dish. Serve as a side dish with main meal.